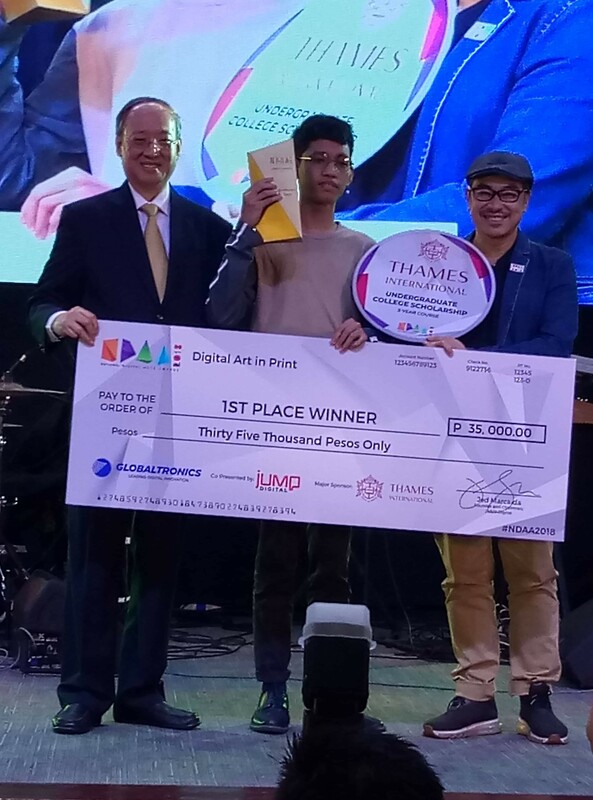 Fourth year Multimedia Arts and Sciences student Jarred R. Olivares (middle) receives his award for winning first place in the National Digital Arts Awards’ Digital Art in Print – Student Category. 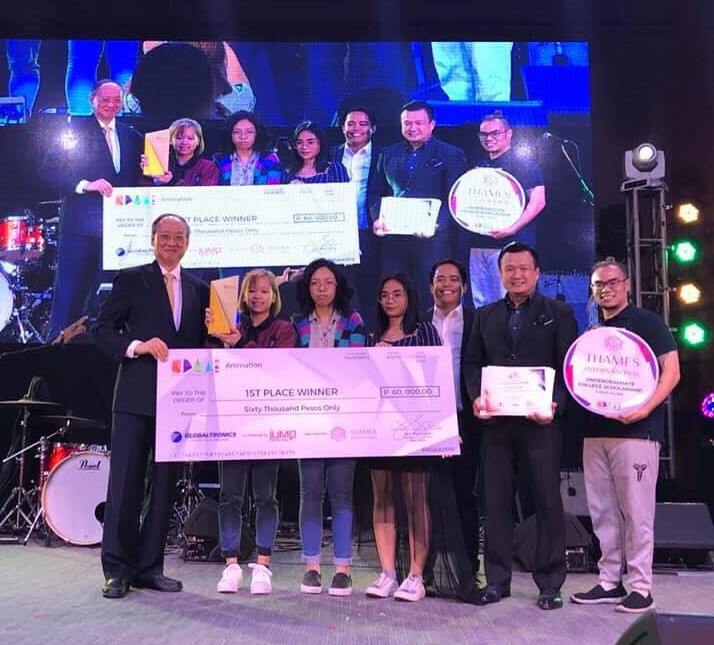 Fourth year Multimedia Arts and Sciences student Jarred R. Olivares won first place in the NDAA Digital Art in Print – Student Category, while second year Multimedia Arts and Sciences student Vinizza G. Orogo and her team won first place in the NDAA Best in Animation – Student Category. Olivarez and Orogo received P35,000.00 and P60,000.00, respectively. They were also given scholarship grants in Thames International Entrepreneurs School of Asia, which will allow them to pursue further design studies after graduation. They will also become ambassadors for the next NDAAs to inspire other artists to join the competition.